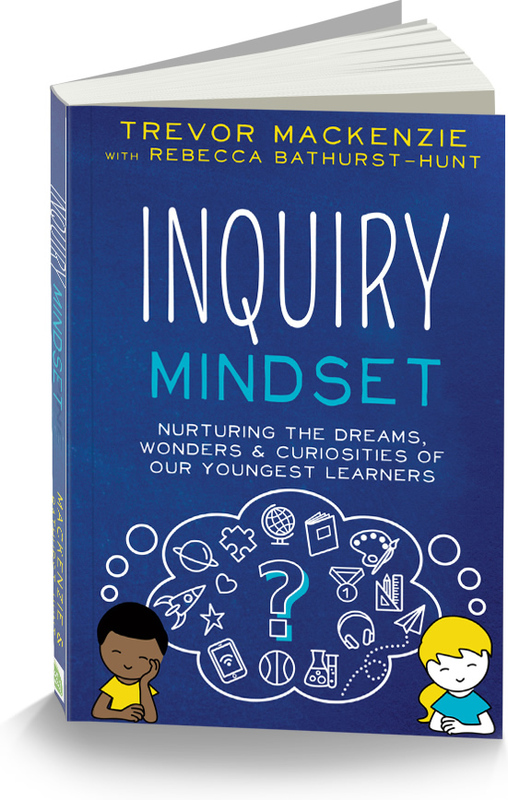 In this series I aim to bust some common myths I often hear in my travels supporting teachers and schools in adopting an Inquiry Mindset for their students. 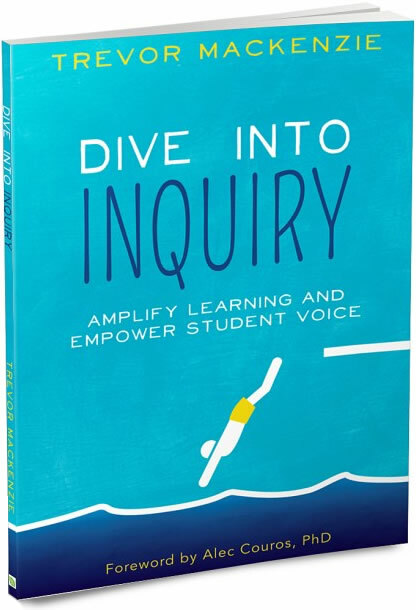 My hope is that we can begin to inform colleagues, parents, and students as to what the reality of inquiry truly is. Please help this movement by sharing these with your PLN. 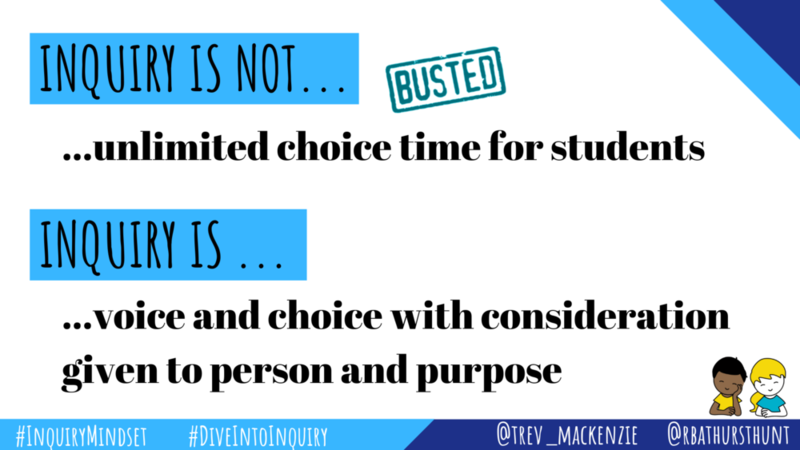 Inquiry teachers give students voice and choice in their learning, but students work intentionally and within a defined organizational design. Inquiry does require teachers to make the shift from being the only expert in the room to guide and facilitator; they allow students to become experts as well. Inquiry teachers help students begin with a clear purpose, and shepherd them through the process. With intention and structure, inquiry teachers nurture student passions and talents. When I speak to “person and purpose” I draw attention to how we consider the students we are working with (and for!) and take into consideration their questions, wonders, interests, goals, and passions. I ask you to consider how you can get to know your students to this extent and how you can connect these highly important details to your curriculum. I propose that our students’ questions, wonders, interests, goals, and passions have deep and authentic ties to our curriculum and perhaps if we all see our curriculum as something with some flex, as something we can reshape a bit, then we’ll have more success supporting our students in inquiry. This connection, between student and curriculum, is the “person and purpose” I refer to. Newer PostInquiry Myth #2 - Inquiry is "lazy teaching"